USB internet modems is the easiest method to connect to the internet even in rural locations. A high-speed data access in now a possibility with USB modems. Most mobile telecommunication network providers usually lock their modems to a particular network making the flexibility that comes with USB internet modems impossible. In this tutorial, I’ll teach you how to unlock Huawei modems and zte modems for free. You’ll learn how to Unlock Huawei e303 and best method to unlock Zte mf631 modem for free. 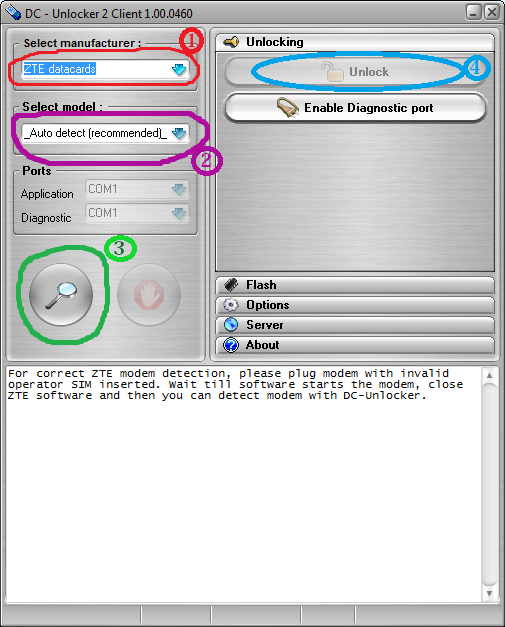 This tutorial is targeted at unlocking Huawei e303 modem and Zte mf631 modem using the best methods. If you are looking for free utilities to unlock just any Huawei or ZTE modem do visit the links below or read on for tips for unlocking Huawei e303 and Zte mf631 modems. Many have considered the Etislat easyblaze zte modem mf631, zte mf180 ,zte mf190 and some other stubborn mtn, glo and airtel Nigeria zte mf series model a difficult to crack modem. Hence the need for creating this tutorial on how to decode or crack the so-called unlock-able brands of modem. Now I will guide you on how to unlock these ZTE USB Modems free. This tweak has been so known for long and so should be the easiest thing to do, with this software trick you can unlock your ZTE modem in less than 10 minutes by completing really easy steps. Launch the modem support application again to configure APN and use your device. d) Insert another Network provider SIM on the modem, when it popup request for unlock code click “Cancel” and close the modem interface. e) Launch the Dc-unlocker software you’ve already downloaded in step a above and click on “Automatic detect” button, wait for some seconds it will show your device details. F) Click on Check Login to know the amount of credit on the account and to know if the username and password is valid. g) Now click on Unlocking -> Do the job. It will connect online and unlock your modem within few seconds. Think you need more explanation or questions? Use the feedback box below. Etislat easyblaze zte modem mf631. Obasi Miracle, i need a 9ja contact i can buy dc unlocker credit for this particular version: dc-unlocker_client-1.00.0884????????????. . . you are doing great. thanks. you can always try a friend of mine who does reseller service for dc-unlocker , you can pay for your dc-unlocker credit with liberty reserve , atm card or bank deposit . His prices are fair too …..
N/B I’m not in any way affiliated to him , neither do I recommend him that much , just that every other persons I had refereed to him always has good things to say about his quick service delivery , one even told me he offered him the credit before he ever paid him a dime . Pls I need an unlock code to my HUAWEI E303 Modem. Having used the unlock code generated from Huawei Modem Unlocker v.5.8.1 (unlock code: 38870055) it is rejects it. use the unlocking code I dropped for you earlier. please if you do not mind, i also need that your dc reseller contact too, i need to purchase dc credits to unlock my mtn e303 modem. thanks. do you mind drooping your contact , so I can send it to you ? Thanks for dropping by Charles, do you mind sharing more details on how this your dc-unlocker works and the rank of modems it can unlock . eg. will it unlock glo Nigeria huawei e303 modem , globacomm Nigeria huawei bolt modem , Airtel Nigeria Huawei 173u-2 modem etc. Use any of 17622771 or 13534366 to unlock your USB modem. Reply ASAP telling the code that really worked. ma guy, u re awesome…..
Keep on the hardwork, and there ll be hope for Africa….. Thanks ma man… Hope we ll keep in touch…. Thanks for dropping by bro, we just keep trying our best to help out with things like this. Pls guys help me to unlock my hauwei modem e303s-1, my imei 868988010838560. I have tried code calculator but the code given to me doesn’t work. Thank you so much Obasi, The special ddcrap work with my modem..9Mobile ZTE MF631. Does it request for an unlock code when you insert a Glo, 9Mobile or Airtel SIM card in it? Did you already try the DC Crap modem unlocking tool linked above? Please its not working for me. Do i have to buy credits before i can unlock my mifi? Tanx 4 d DC crap info. It was really helpful sire. Hi Obasi, thumbs up for all ur effort. Can u help me do the unlocking of my e303. Heres my number 08067410078. Pls send me a msg lets talk. 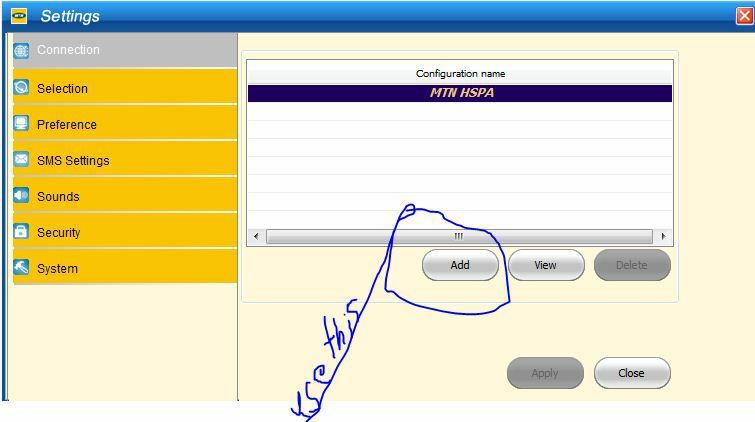 Hello bros,I have spectranet 4G LTE;is it possible to unlock it to enable me use any sim? thanks. hello Obasi need to talk with you in private if you dont mind ……. Every Buddy I am a user of LG G3 but i unable to use internet. Have you configured your APN access points? What network modem is that and does it request for an unlock code whenever you insert an unsupported SIM Card into it? Hai Obasi, the above dccrap version cannot find Huawei e3131. does it request for an unlock code when you insert an unsupported network SIMcard to it? Does it request for an unlock code when you insert an unsupported network sim card on it? As in – you’ll need us to help you purchase the required amount of credits while you pay the Naira value? it is not free at all if you have to “puchase” an username and pass…this is a scam…!!!! What network is it locked to and does it request for an unlock code when you insert an unsupported network sim card to it? mine is glo modem e303 i inserted an etisalat sim to it, but its not unlocking what do i do? Did it request for an unlock code when you inserted the unsupported sim? mine is glo modem e303 i inserted an etisalat sim to it, but its not unlocking what do i do…..? my 9mobile easyblaze modem says card not detected even when i put the unsupported sim card and use the DC crap as directed. The unblock icon is not highlighted, please help. thanks. My modem is ZTE please. what model of ZTE is this? mf 190? please tell me where and to purchase credit on the dc unlocker and also tutorials on how to use the dc unlocker. You can buy the credit directly from dc-unlocker.com. What model of USB modem do you want to unlock? Download and use the free app on this page. It should be able to unlock your modem easily. collected it from a friend there was only to attempts remaining tried using Universal MasterC but said incorrect. What model of ZTE modem is this or is it a Huawei product?